According to legend, Odin (the Norse High God of the Aesir) hung from the world tree (known as Yggdrasil) while impaled on his own spear for nine days and nights to gain the knowledge of the runes. When, at last, they appeared before him, he picked them up and in doing so attained the runic knowledge, which also gave him power. He, in turn, eventually passed this knowledge onto the Vanir goddess Freya. In exchange, she taught Aesir the magic of seidr. Later Heimdall (the guardian god of the Rainbow Bridge) taught the runes to mankind. As you can see, runes (like virtually all ancient forms of magic and divination) have a rich and colorful mythological history associated with their use. According to actual historical records, runes first made their appearance among Germanic tribes in eastern and central Europe in roughly 100 BC. Despite the legends associated with runes, in reality it is likely that some of the rune symbols were borrowed from other early alphabets, such as the Etruscan, Greek, and/or early Roman. The runes were designed with utility in mind, being made primarily of straight lines in order to make the runes easier to carve into the wood or stone they were made out of. The earliest inscribed runes have been dated to roughly 200 AD; however, the runic alphabet had likely been in use for up to a half a dozen centuries prior. The Old Germanic alphabet (called Elder Futhark) contains 24 runes, and the initial 6 runes spell out the word Futhark. As the runes made their migration north into and throughout Scandinavia, many of the runes were dropped and/or eliminated, reducing the runic alphabet to 16 runes. Between four and six hundred AD, the Angles, the Saxons and the Jutes invaded Britain, and the runes came along with them. 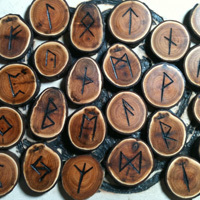 During this timeframe, the forms of many more runes changed and deviated from their original design. In addition, as the Germanic language expanded and evolved, 9 additional runes were incorporated into the alphabet in order to accommodate the added sounds. By this time, the runic alphabet had expanded to thirty-three symbols, and it became known as the Anglo-Saxon Futhorc. Despite all of the changes made to the runes due to changes of culture and expansion of language, it is believed that the names of the runes themselves have remained almost the same as they were in the very beginning. And while there is no known manuscript or other documentation that lists the original names of the runes in their entirety, the ancient Anglo-Saxon and Scandinavian rune poems (which still exist today) are so similar that is can be easily deduced that the runes are of a common origin. Runes have oft been referred to as an ‘oracle’ from which one can seek and obtain viable advice. 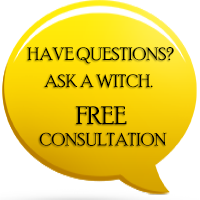 Most magical practitioners will tell you that they are most successful for these types of purposes if you are honest and open with them, detailing your current situation or circumstances, and then ask them a specific question. Like many forms of divination, runes often give obscure or vague answers, thereby forcing you to figure out the specifics for yourself. 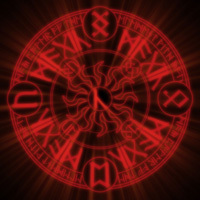 This need to have properly developed intuitive ability is what makes runes the divination tool of choice for many serious and devoted magical practitioners. Many trained, professional followers of the craft, or naturally gifted and able psychics are able to read and/or interpret runes with an instant and accurate clarity. In order to truly become proficient in the usage and interpretation of runes, you must have fairly extensive knowledge of the ancient European and Scandinavian mythology, culture and history. If you do not have a firm foundation of knowledge in these matters, you will find yourself at a great disadvantage when trying to understand the divination abilities of runes. I enjoy the articles that you have... Thanks! !